More and more these days, buying a nice bottle of whiskey — or whisky — is an investment, more of a long-term project. Something to savor over time. Most offerings from Laphroaig qualify, though the distillery’s latest release is an island unto itself, so to speak. 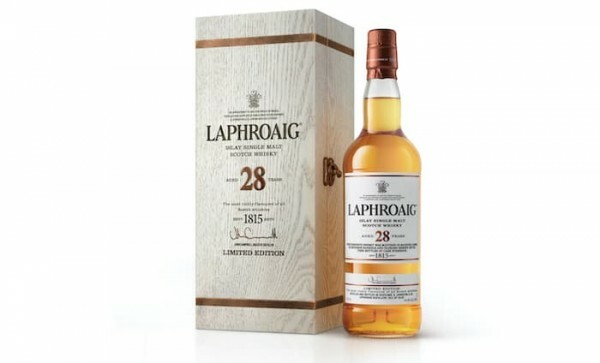 Laphroaig 28 Year Old, released in October, is one of oldest expressions from the Islay distillery. “The marriage of its different casks sizes with sherry casks creates a sweet taste, complemented by peppery spices and finishes with a lingering peaty flavor and touch of iodine and seaweed, reminiscent of Islay,” the distillery says in a news release. The rich, smoky peat is unmistakable, but it comes in a bit lighter on the nose. There are notes of sage and pine, rosemary and thyme. A hint, of course, of a burning campfire. On the palate it’s sweet, coating the mouth in vanilla, cinnamon and baked apples. The rich peat finish lingers nicely, a dried, peppery spice. This expression clocks in at 88.8 proof, and a bottle will run close to $800. John Trump is author of "Still & Barrel: Craft Spirits in the Old North State." For more than 30 years, John Trump worked as a reporter and editor for newspapers. A long-time fan of whiskey, beer and wine, John’s interest in distilled spirits was piqued in 2015 when he and his wife and embarked on the Kentucky Bourbon Trail. His interest in whiskey dovetailed into a blog, and then “Still & Barrel: Craft Spirits in the Old North State,” which he wrote over several months in 2016. John visited more than 30 distilleries in North Carolina, from Asheville to Manteo, while writing and researching “Still & Barrel.” Photos by is wife, Lisa, are included in the book. A Pittsburgh area native, he holds a bachelor of arts in journalism and communications from Point Park University in Pittsburgh and a Master of Fine Arts in Creative Nonfiction from Goucher College in Baltimore.